For the opening of this blog post on the Things to Do in Singapore, I wanted to show the beautiful Singapore Skyline, but I decided to use a photo of food since it sums up Singapore nicely — eating is our way of life. I always receive emails from overseas readers asking me to suggest some of the things that they can do while having holiday in Singapore. So I have been working on this little project for a while, going to different places to explore and take photos. For this post, I’m writing from the angle of visitors who have never been to Singapore. At the same time, I think it will be cool for the locals to take this opportunity and explore our country; people always complain that there’s nothing to do in Singapore when in fact there are a lot of places that we seldom visit. Since everyone is talking about the new integrated resorts in Singapore, I shall start off the list with MBS. Marina Bay Sands is an integrated resort fronting Marina Bay in Singapore that is developed by Las Vegas Sands. Besides the hotel, the resort also includes the Shoppes mall, an Art & Science museum, two Sands Theatres, seven celebrity chef restaurants, and the casino. They have this amazing Skypark pool which has a breathtaking view of the city. Shopping, food, entertainment all under one roof, what else can you ask for? 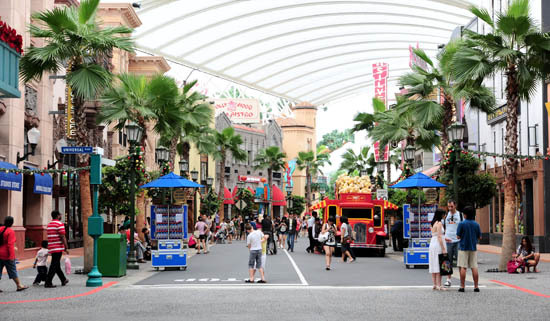 Sentosa is one of the major tourist attractions in Singapore, and things are becoming very happening with the addition of Resorts World Sentosa and Universal Studios Singapore. The best part? There are so many new restaurants at Resorts World Sentosa! I know everyone is excited with the new rides at Universal Studios Singapore, and the casino at Resorts World, but let’s not forget about the other attractions on Sentosa. From Fort Siloso, to the Underwater World, Wavehouse and the three beaches, there are plenty of things to do in Sentosa Island. Okay, this really depends on what you are looking for. Generally speaking (for overseas visitors), the best time to come to Singapore (if your agenda is shopping) will be during the Great Singapore Sale (June to July) and the Year End Sale (November to December). If you are a make-up Junkie, Sephora Singapore is definitely one of the make up stores in Singapore that’s worth going to. 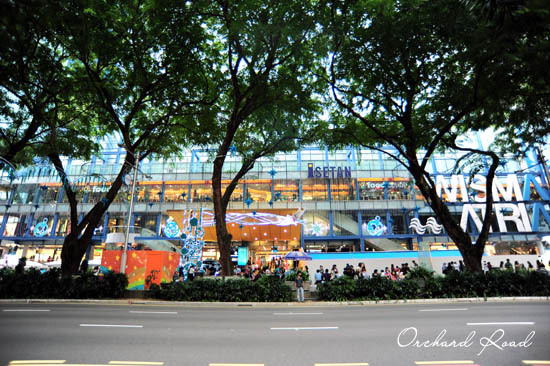 Orchard road is probably your best bet when it comes to shopping in Singapore. With shopping malls like Ion, Paragon, Takashimaya, Tangs, 313 @ Somerset, Mandarin Gallery and Orchard Central all on a stretch of road, you will be spoiled for choices. If you are tired after a day of shopping, find a nice restaurant in Orchard road for dinner, and continue with your spree after that! For niche shopping in Singapore, Haji Lane has many independent and local fashion boutiques that are worth checking out. It is quite an experience to visit Singapore’s 24 Hour Mall, Mustafa Centre. It is a place where you can get anything and everything, especially when you need something in the wee hours and all the other shops are closed. For the full Mustafa experience – go during a Sunday night, and you will understand what I’m talking about. We have many fine restaurants in Singapore, but so do other countries. What is unique to Singapore, is the local hawker food. If it is your first time in Singapore, you must try some of the popular hawker food like: chicken rice, char kway teow, laksa, bak kut teh, popiah, hokkien mee – stuff that you can never find elsewhere. I will be writing a separate blog post on the must-try hawker food in Singapore, so more on that next time. I guess visiting heritage places is considered as a touristy thing, but hey, you are a tourist anyway. I love it whenever my overseas friends are in Singapore as it gives me the chance to be a tourist and explore places in Singapore that I have never been to. When I travel to other countries, I like to go to the residential areas and see what it is like to live there. It is a nice feeling to learn more about others’ culture, and also to experience the local lifestyle. Venture into the heartlands in Singapore like Toa Payoh, Bishan, Ang Mo Kio and people-watch. Do I really need to elaborate on this? Singapore is a foodie paradise, and I bet you already have a list of eating places ready. If not… it’s time to read more Singapore Food Blogs! For Nightlife in Singapore, Clark Quay and Boat Quay are the places to be with so many clubs, bars and pubs in the area. Party till late and have roti prata and frog leg porridge for supper. Go to Funan IT Mall for gadgets. Go to Sim Lim Square and fall for the tourist trap. Sim Lim Square has a reputation for being dodgy with all the tourist traps, so I usually go to Funan IT Mall to get my gadgets. If you are looking for camera equipments, check out John 3:16, or Cathay Photos (Peninsula Plaza). Other tourist attractions in Singapore: take a stroll at the Singapore Botanical Gardens, and have a relaxing brunch at Dempsey road. There are plenty of Museums in Singapore: the Asian Civilisation museum, Pernankan museum, & the National Museum of Singapore are worth checking out. Depending on where you are from, you may want to check out the markets for tropical fruits if you are not living in this part of the world. Even though I hate durian, I think it’s a pretty cool experience to go down to Geylang and sit by the roadside to try the king of fruits. Lastly, if you have not been on a Ferris Wheel before, it’s a good idea to go on the Singapore Flyer which offers a great view of the Marina Bay area. Travelling in Singapore is easy as we have a really developed public transport network. Unless you are on a tight schedule, try to travel around on buses and trains (instead of cabs), it’s very interesting to watch and listen to the locals conversations. Explore Singapore and experience what our beautiful country has to offer, try out new things & local food with an open mind, and I am sure you will have a very good time in Singapore! 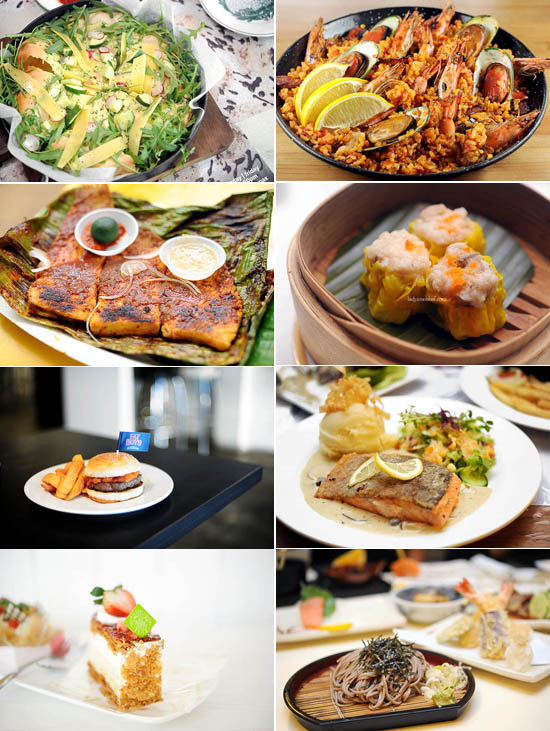 I’m going to visit sg next month and got all the best food to eat from your blog. wta, have you ever write about equinox resto? Mr.Brad Lau, awesome list of things to do and EAT in Singapore. I’m glad to have covered most things and can’t wait to finish off the rest. Keep up the good work young padawan! have you tried the black pepper crabs from eng seng restaurant yet? However I want to point out tho on this post: chicken rice, char kway teow, laksa, bak kut teh, popiah, hokkien mee – stuff that you can never find elsewhere. There’s quite a food scene here as well if you ever plan to visit. I’m from London, but my mother was born and lived in Singapore for most of her life so we occasionally visit family in Singapore every year or so. I’ve been concentrating on my studies so I haven’t been to Singapore for just over four years! I miss it so much! And now i’m planning a trip back this June with my boyfriend, it is his first time leaving the UK so I wanted this trip to be one for him to remember, I’ve bought many guide books, harassed cousins for tips and suggestions on where to go and what to eat and then found this website! I can’t express how helpful it’s been! I’ve been scribbling down notes and getting more excited whilst my belly grumbled at the pictures of the food!